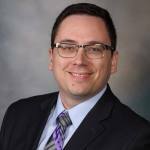 “These findings show that simply creating and adhering to procedure-specific opioid prescribing guidelines based on scientific research can yield significant results,” says lead author Cody Wyles, M.D., a Mayo Clinic orthopedic surgical resident. The work to refine opioid prescriptions post-surgery began with a collaborative effort among Mayo Clinic physicians, pharmacists, pain medicine specialists, nurses and research scientists in the Mayo Clinic Robert D. and Patricia E. Kern Center for the Science of Health Care Delivery. The cross-specialty research team looked at opioid prescriptions written at Mayo Clinic for 25 common surgeries, and found areas for improvement. To address the issues, the team created opioid prescribing guidelines for the common surgeries, which were first implemented by the Department of Orthopedic Surgery. The study compared opioid prescriptions and refill rates for knee and hip replacement surgery patients on the Rochester campus of Mayo Clinic who hadn’t received a prescription in the previous 90 days. The team compared 751 patients during the five months after the guidelines took effect (August-December 2017), to the 1,822 hip and knee patients during 2016 who met those criteria. The authors found that the median prescription dropped 48 percent, from the equivalent of roughly 95 pills of five-milligram oxycodone to about 50 pills. Overall, the middle 50 percent range of prescriptions decreased from about 70-115 pills to 45-50 pills. They also report no statistically significant change in refill rates. Opioid prescription totals in the United States, while decreasing from 2011 to 2015, were still three times higher in 2015 than they were in 1999, according to the newest data from Centers for Disease Control and Prevention. And from 1999 to 2016, the number of opioid overdose deaths increased fivefold, the CDC says. Although the CDC and other entities have created opioid prescribing guidelines, the research team emphasizes that procedure-specific guidelines are needed to provide appropriate pain management for patients. The team also notes it’s important to counsel patients before surgery on pain expectations. “One of the most underappreciated aspects of addressing pain management is appropriate patient counseling and expectations management. The mind-body interaction with pain is one of the most powerful in all of medicine,” Dr. Wyles says. The research team chose hip and knee replacement surgeries for this study because they had the two highest median opioid prescriptions and highest variability in their previous study. The team also continues to follow adherence to the guidelines, reporting that compliance steadily increased over the five month study period. Dr. Mabry says they will continue to evaluate and refine the guidelines to ensure they address patient need. This research was made possible by the Mayo Clinic Robert D. and Patricia E. Kern Center for the Science of Health Care Delivery. The Mayo Clinic Robert D. and Patricia E. Kern Center for the Science of Health Care Delivery seeks to discover new ways to improve health; translate those discoveries into evidence-based, actionable treatments, processes and procedures; and apply this new knowledge to improve care for patients everywhere. Did anyone study or ask patients about their pain levels? I've met with several patients who have had less pain meds post proceedure and many are suffering. Are you reducing opiates to make the CDC happy at the expense of good patient care? Thank you for your question and an opportunity to respond. Optimal patient care is always our goal. In fact, we have found the CDC recommendations too low for many procedures, including total knee and total hip arthroplasties, so our recommended discharge prescriptions for these two procedures are actually in excess of CDC and current State of Minnesota guidelines of one week or 200 oral morphine equivalents. In response to your question regarding pain scores, we have studied the relationships between inpatient pain scores and discharge prescription amounts and have work underway to better monitor post-discharge pain scores and pain management needs. However, to our knowledge, patients in need of refills have been able to access them the same way both before and after guideline implementation, yet no difference in refill rate has been noted.